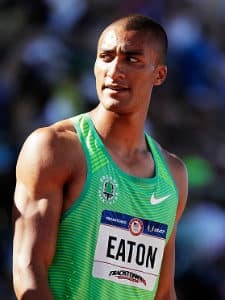 American decathlete Ashton Eaton is the current decathlon world record holder. He scored 9045 points at the 2015 IAAF World Championships beating his own previous record of 9039 points. Decathlon combines four runs, three jumps and three throws making the athlete who wins the event the most formidable athlete in the world. Ashton also holds the world record for indoor heptathlon events. It all started for Eaton when he won his first international medal at the 2011 World Championships after which he has broken several records. After the Rio Olympics 2016, Ashton Eaton will compete in the 2017 World Athletics Championships in London post which he plans to retire.